I wanted to let you know about a collaborative craft project that I found out about recently. A dad from Conroe, Texas lost his 13 year old son, Peyton, in October 2014 to suicide. Crafters are now trying to help end the stigma surrounding suicide and mental health issues in honor of Peyton through the #PeytonHeartProject, created by Jill Kubin from NJ. 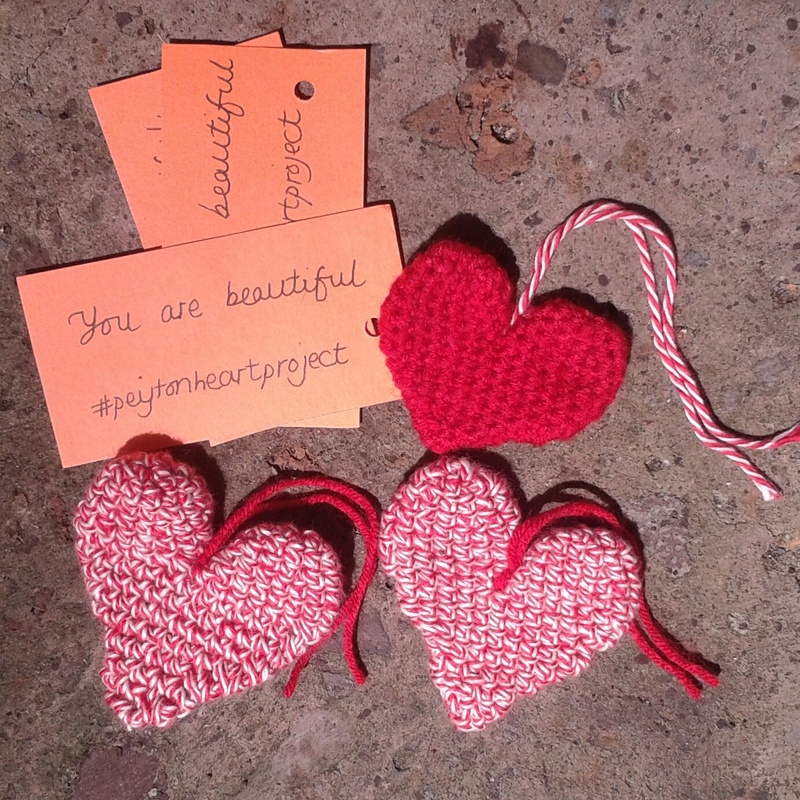 They make and leave crochet, knit and yarn hearts in public spaces with an upbeat quotation for people to take away. Peyton's dad shared the Peyton Heart Project's Facebook page on the yarn store page which I manage and his words have been playing on my mind ever since. Here is a recent newspaper article and the Facebook page. I made my first hearts using a fantastic heart crochet pattern that I've used before from Simply Crochet magazine issue 27. I read that over 1,000 hearts have been shared worldwide to date. I've seen many posted to social media with the #peytonheartproject tag and each one makes me smile.